Becca strives for a happy marriage between her academic research, personal activism, and professional engagement. This page includes information about some of the initiatives Becca is involved with. In February of 2011, as protests were erupting across North Africa and the Middle East, two Stanford undergraduates met at a coffee shop. They had been born and raised in Bahrain and Chicago respectively. A conversation ensued about the power of youth leaders to create positive social, political, and economic change; the necessity of sharing their ideas and experiences with the world; and the profound potential for collaboration and improved understanding between the Middle East, North Africa, and the United States. Given the 2011 uprisings and the West’s increased interest in youth activism in the region, Khaled Alshawi and Elliot Stoller found willing professors and funders for a dialogue platform meant to bring Middle Eastern and American change agents together. And so a simple coffee shop conversation became AMENDS, the American and Middle Eastern Network for Dialogue at Stanford. Two students became twenty, and what had only been a dream of knowing more about what was happening on the ground in the Middle East and North Africa became an Annual Summit of Delegates chosen for their potential to affect real change in the region on the basis of ongoing projects they lead around a variety of social, economic, environmental, and political issues. In April 2013, Becca was honoured to be selected as an AMENDS Delegate for her academic work highlighting environmental peacebuilding in the region. The week was one of the most enjoyable and impactful of her life. Becca was inspired to document the work of the Summit – and more importantly, the amazing people she had met. You can read more about them in the 2013 AMENDS Proceedings. Building from the incredible success of the first two Summits, Becca helped to launch the Fellows Network, a platform for ongoing cooperation and communication between years of AMENDS Delegates. Today, the AMEND Fellows Organisation has an elected Executive Board and multiple sub-committees. After graduating from Stanford, AMENDS co-founder Elliot Stoller moved to Istanbul, Turkey, where he gathered a committed group of undergraduate students from Koç University. With Becca’s help, they planned the first AMENDS Koç Forum, a reunion conference for AMEND Fellows bringing the classes together for sustained collaboration. Becca currently serves as Founding Secretary of the AMENDS Global Fellows and is working with the Stanford and Koç student teams to plan annual Koç Forums and AMENDS Summits. Dar Si Hmad for Development, Education and Culture is an independent nonprofit organization in Southwest Morocco. Dar Si Hmad promotes and preserves local culture, history, and heritage through a variety of education and livelihood projects. The organisation’s programming builds the capacities of local people while respecting natural resources and the environment. Dar Si Hmad’s flagship project provides villages in the Southwest Moroccan mountains with running potable water using state-of-the-art fog harvesting technologies, combining scientific innovation with local systems to empower rural communities. Through their Ethnographic Field School and Research Support programs, we share our educational and environmental projects with students and researchers, creating a platform for cross-cultural and intellectual exchange. Becca first heard about Dar Si Hmad’s work from an AMENDS Fellow. She reached out to the organisation as a potential case study for her dissertation on environmental peacebuilding, and a partnership was quickly formed. In November and December, Becca spent six weeks working in Agadir to learn from the NGO. She fell so in love with their work that she now serves as their Socla Media Manager. Check out their blog to learn more! Dorm Room Diplomacy uses online technology to foster mutual understanding between university students in the West and Middle East. DRD believes that overcoming stereotypes and promoting intercultural understanding play an important role in addressing the issues surrounding the complicated relationship between these regions. The programme brings small groups of university students from around the world together via facilitated online videoconferences. Participants sign on to group discussions at the same time for a full semester. Friendships, laughter (and sometimes tears), and the clearing up of many a mistaken understanding ensue. DRD was co-founded by Marshall Scholar Corey Metzman, who invited Becca to serve as a facilitator in Fall 2013. She had an amazing time, as her guest entry on Beyond the Bombs indicates. Given Becca’s positive experience and unique approach with online intercultural facilitation techniques, Dorm Room Diplomacy invited her to serve on their Advisory Board. She now serves as the Vice President for Facilitation. If you would be interested in participating in a Dorm Room Diplomacy session, giving you the chance to get to know students from across the world, please sign up here! The Norfolk County Council Environmental and Outdoor Learning Team brings high school students from a variety of partner schools – including colleges in Norfolk but also Norway – to Holt Hall for educational residential programmes. Students engage in shared learning leading to action plans for environmental campaigns in their home communities. Becca’s work with Norfolk County Council began in February 2013, when she served as a mentor and lecturer on their pilot programme Water & Enterprise. Water & Enterprise focused on teaching business skills for eco-consultancy and water savings. Becca taught on hydro cycle science as well as working with students from Reepham High School and College to develop a plan for a new environmental fair in their community. Later that year, she visited Reepham to present on Geography as part of the College’s Careers Day and meet with the growing eco-team. Building on the success of Water & Enterprise, Becca worked with Norfolk County Council to present Bright Futures, a programme focusing on carbon reduction activism and young people’s employability. The programme has successfully run multiple times and is scheduled to be offered four times a year for the next four years, bringing in different school and international partners. To support young students in their environmental work following these residentials, Becca is helping to oversee the Carbon Reduction Mentor Fund, which partners university student mentors with high school student participants. The Marshall Scholars have a growing partnership with Norfolk County Council, and in May 2014, they ran their own residential programme at Holt Hall, DESiGN: Developing Environmental Sustainability in Greater Norfolk. DESiGN focused on environmental art, using poetry, photography, and outdoor fun to engage students less likely to appreciate the maths and science angle of environmental studies. In 2016, the programme expanded to Exceptional DESiGN, pulling from the expertise of Michigan State University’s Exceptions Journal to build a residential focused on accessible art. For more, check out the Beyond 2015 piece that Becca co-authored with Cherish Watton about university engagement with these residentials. The YMCA Jerusalem Youth Chorus empowers young singers to become leaders for peace in their communities by providing a space where they can engage one another in musical and verbal dialogue. Through this combination of high level music-making and interpersonal engagement, the YMCA Jerusalem Youth Chorus seeks to create a life-changing experience for its members. Becca got to know the Jerusalem Youth Chorus through AMENDS. Micah Hendler, the Chorus’ Founder and Director, is a 2012 AMENDS Fellow and attended the 2014 Koç Forum. At that conference, he and Becca made plans for her to visit the Chorus in Jerusalem in Summer 2014. After that visit, Becca volunteered to serve as the UK Logisitics Manager for the Chorus’ first tour to the United Kingdom. The Tour took place in December 2014 with visits to London and Oxford, including a performance on BBC’s Newsnight and an amazing concert at the Aldwych Theatre in London’s West End. Learn more about the Jerusalem Youth Chorus through their amazing cover of “Home“, a professional music video featuring guest star Sam Tsui. Learn more about Becca’s involvement through her “Ramblings” episode on her work with them – and check out Micah Hendler’s AMENDS Talk on his vision for the Chorus, given at the first AMENDS Summit…before the choir even existed! October 2014, Becca was blessed with the opportunity to travel to the Gulf for the first time as a guest of the Kuwait Dive Team, a volunteer organisation working to preserve and protect the marine environment of the Gulf. She participated in their operations for a week in order to learn more about their work to write a book in English, sharing their incredible story with the world. The best way to learn more is to watch her interview on Kuwait National Television, her reflective episode of “Ramblings“, or Dari AlHuwail’s AMENDS Talk on the Team. Today, Becca serves as International Cultural Consultant for the Kuwait Dive Team. 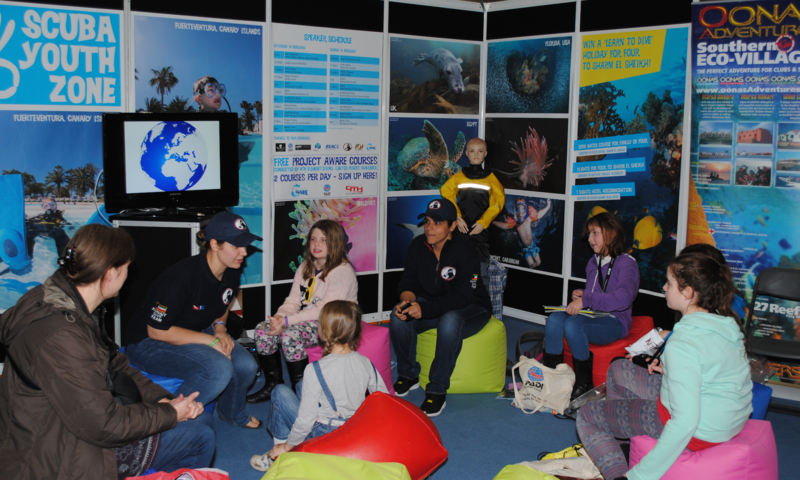 She’s represented them and shared their work at the London International Dive Show in February 2015 and helped launch their international Global Environmental Guardians Network in Baltimore, Maryland, in August 2015. You can learn more about the Team in Becca’s most recent book, Defending the Deep. January and February 2016, Becca spent another six weeks in Kuwait working with the Kuwait Dive Team as a partner in her doctoral research on environmental peacebuilding. 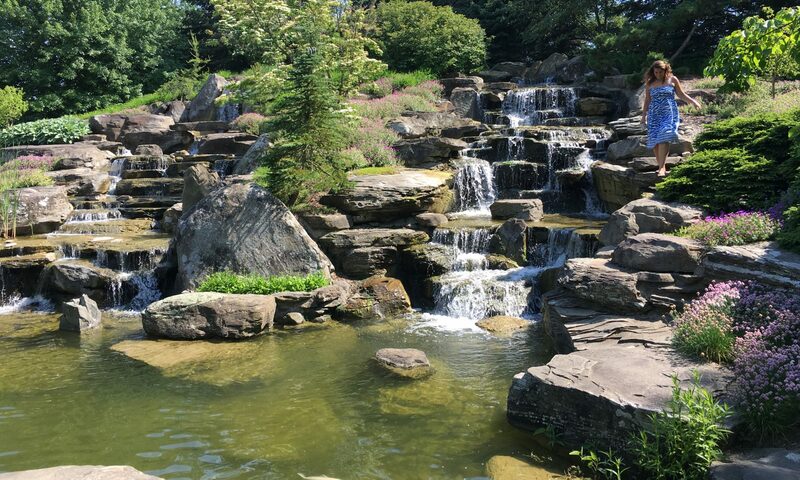 The London Water Research Group gathers international water professionals, activists and scholars from the social and natural sciences to facilitate the analysis of transboundary water management, politics and policy. Taking as the starting point that ‘power’ is a key factor in understanding and informing water policy, the LWRG addresses issues of water allocation and management taking an integrated approach involving modelling, explanatory and activist science. Becca works closely with her PhD Supervisor Naho Mirumachi and her mentors at the University of East Anglia to help administer the LWRG. Her work with the Group includes helping to plan the International Workshops on Hydro-Hegemony, organise LWRG seminars, and keep the LWRG’s online presence up-to-date, including the WaterWords blog. As future leaders, with a lasting understanding of British society, Marshall Scholars strengthen the enduring relationship between the British and American peoples, their governments and their institutions. Marshall Scholars are talented, independent and wide-ranging, and their time as Scholars enhances their intellectual and personal growth. Their direct engagement with Britain through its best academic programmes contributes to their ultimate personal success. As 2012 Class Secretary, Becca coordinates class- and programme-wide social and professional activities. Highlights include the Interwoven Initiative, a retreat to the Scottish Highlands each summer, and a service project on bridging climate activism and the arts. The Media Association for Peace is the first non-governmental organisation in Lebanon dedicated to developing and furthering the concept of peace journalism. The name of the organisation is inspired by the metaphor of peace journalism: “Peace Journalism approach provides a new road map tracing the connections between journalists, their sources, the stories they cover and the consequences of their reporting – the ethics of journalistic intervention” (Lynch & McGoldrick 2005). 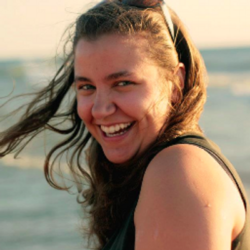 Becca spent two months in Beirut in March and April 2016 working with MAP on their Environmental Media, Peacebuilding and Conflict Transformation Project. MAP’s Media, Peace & Environment Program forms the last of her ethnographic doctoral case studies. While in Lebanon, she helped to organise the First National Conference on Media, Peace, and the Environment.